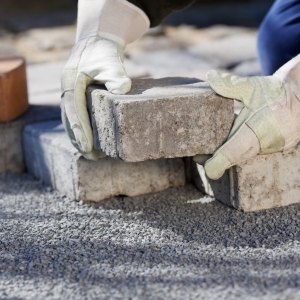 Here at Kingsley Surfacing we offer a variety of Paving & Surfacing services throughout Farnborough. 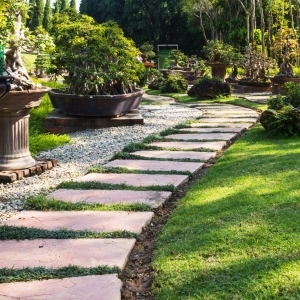 We do driveways in a whole range of surfaces. 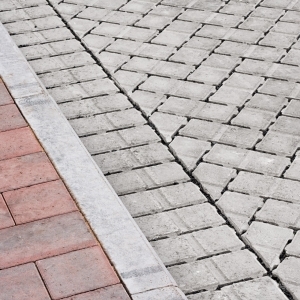 Whether you prefer block paving, gravel, tarmac, concrete, cobblestone or a different surface, we can fulfill your requirements. If you are unsure of the advantages and disadvantages of the different surfaces, we will happily discuss this with you and advise which surface would be best for your drive. We do Patios in a range of different surfaces – concrete, natural stone, granite, slate, lime stone, sandstone, marble. We will make you a very nice area to sit out in the sun on warm summer days. 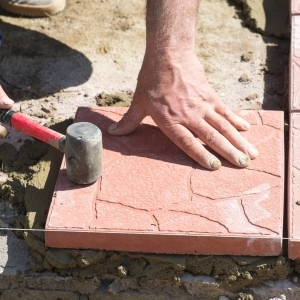 We build a variety of different wall types – brick, concrete block, dry walls, stone, engineering brick, retaining walls etc. A small wall around the edge of your property or garden, or a raised bed retaining wall can add a really attractive feature to a nice garden. If you would like any additional information regarding these services, or any other related service, then please do not hesitate to call us on 01252 901 922 / 07743 518 498, or send us a message through our contact page.